Soho Corner just released this new living room set and as soon as I saw it, I knew I had to snap a couple pics to show it off. 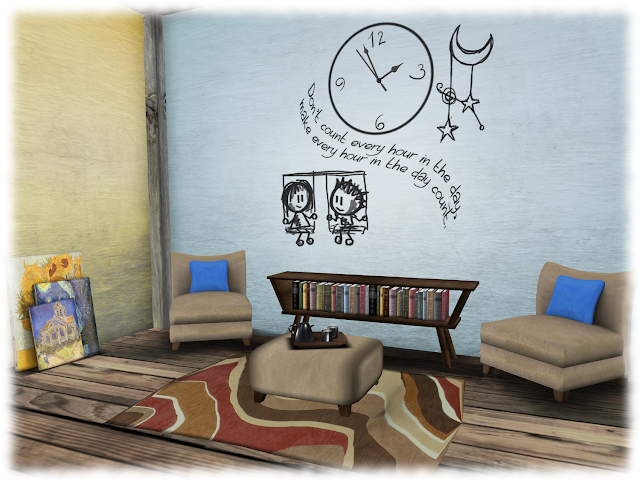 It comes complete with these plush chairs with lots of built in poses, an adorable working clock, and these beautiful stacked watercolor paintings which includes one of my fave paintings ever, Starry Night, perfect for a simple, artsy decor touch. 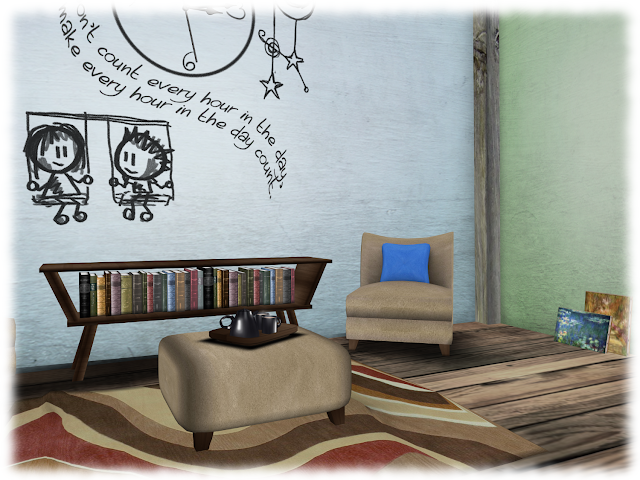 As you can see, this set is so cute and it works perfectly in this free house I nabbed on a lucky board a while back so if you are looking for some nicely done furniture, be sure to head on over to Soho Corner and pick up the Anne Living set.